Current research suggests that the most effective way in which tactile units can be used is with the eyes closed. 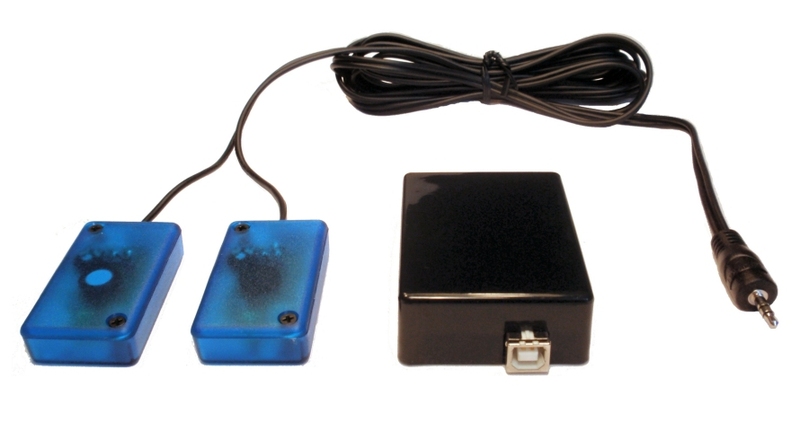 We therefore currently recommend that standalone tactile units such as the TheraTapper from the DNMS Institute be used. In our personal experience tracking at the bottom of the screen is as effective as using tactile units to access the Kinesthetic modality. 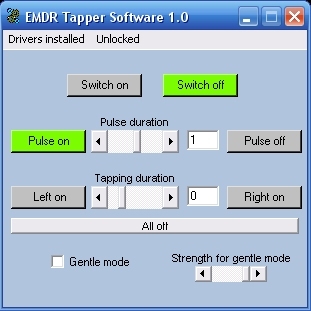 After a long period of research and development we have generated a sophisticated computer controlled EMDR tactile stimuli unit for use with EMDR Pro only. Our tactile units are hand-built in the UK to the highest possible standard of quality. Tactile Units are designed for use by therapists and are available as an option with the Therapists Toolkit. NB: No other tactile unit from any source will function with EMDR Pro and the units require a computer to be present to operate them because they are USB powered. All sales are subject to our standard terms and conditions and end user software licence agreement. Making a purchase constitutes acceptance of both of the above. PayPal is safe, secure and you do not need to have a PayPal account to pay by Credit Card. The most likely thing to fail with the tactile units is the cable. The same is true of all electronic appliances eg MP3 player headphones. If you take care of the cable and avoid too much twisting the cable will last for a very, very long time. Cable damage is not covered by the guarantee. 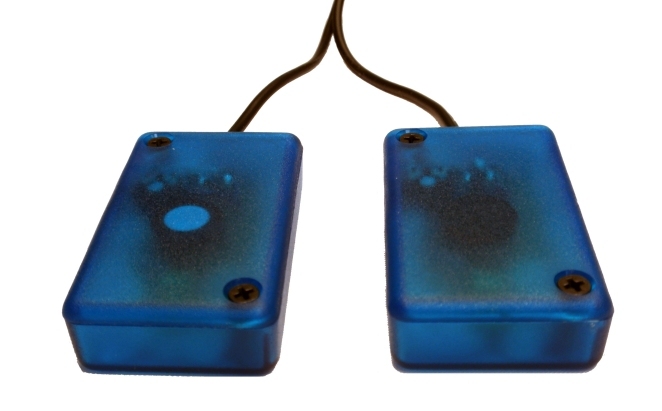 If one or both of the blue tapper boxes stops working entirely or works intermittently (especially if there's a difference depending on the position of the cable) then there is cable damage within the cable itself. The only resolution for this is to return the unit to us for repair. If you're pretty sure that it is the cable that needs to be replaced then you just need to send us the blue boxes - this reduces the cost of return. Always ensure that you use a trackable form of posting that at very least requires a signature on delivery. It's your responsibility to insure the delivery. The discounted cost of cable replacement is £20 (Approx $30 USD) inclusive of parts and labour, excluding postage back to you via a secure means - you pay only for the actual cost of postage. 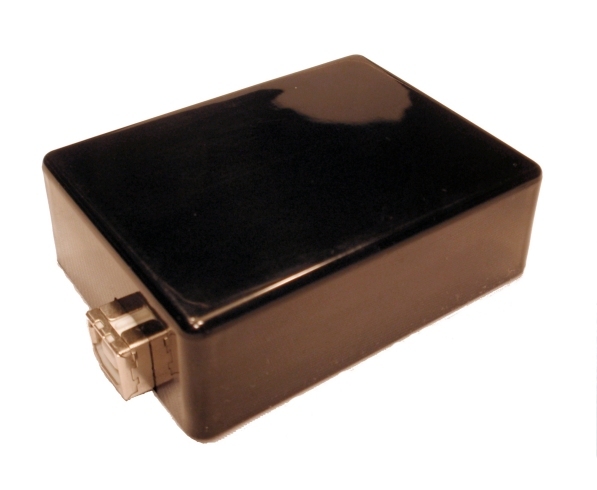 If the problem turns out not to be the cable then you will then need to send us the black controller box as well. We will then diagnose the issue and let you know the cost of repair so you can choose whether or not to proceed. If you don't choose to get the units repaired the policy below may then apply. 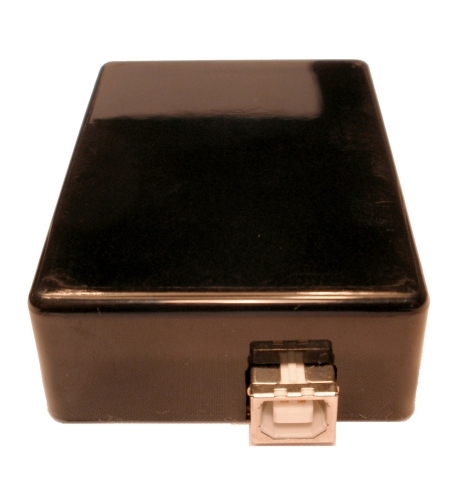 If you have a damaged or broken set of Tactile Units we can buy them back off you depending on the extent of the damage and how much functionality remains. We will then refurbish and repair or reuse any undamaged components as appropriate. If you have any queries then do let us know.